One major highlight of this version is the bookkeeping feature that generates account statements automatically based on all the transactions and payments via Alipay. 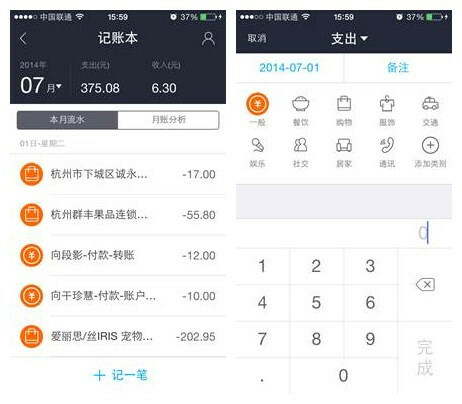 Even if the expenses are not generated via Alipay, users can add them for record. Users can keep track of all financial activities generated by Alipay in different categories, including telecommunications, transportation and shopping expenses. 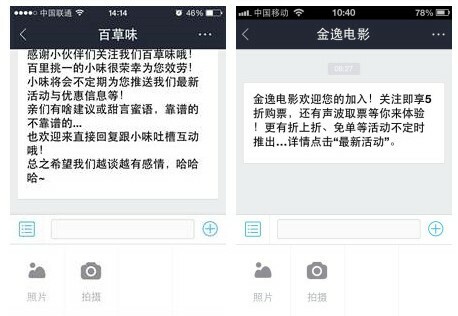 Previously Alipay Wallet released a “service window” feature where merchants can have users to follow their official service accounts. An interesting update specific to service account merchants and subscribers is that individual users can take photos and share them on social platforms, and send voice messages when transferring payments or browsing service accounts. Other service account-centric updates are improvements on accounts searching and sharing functions. 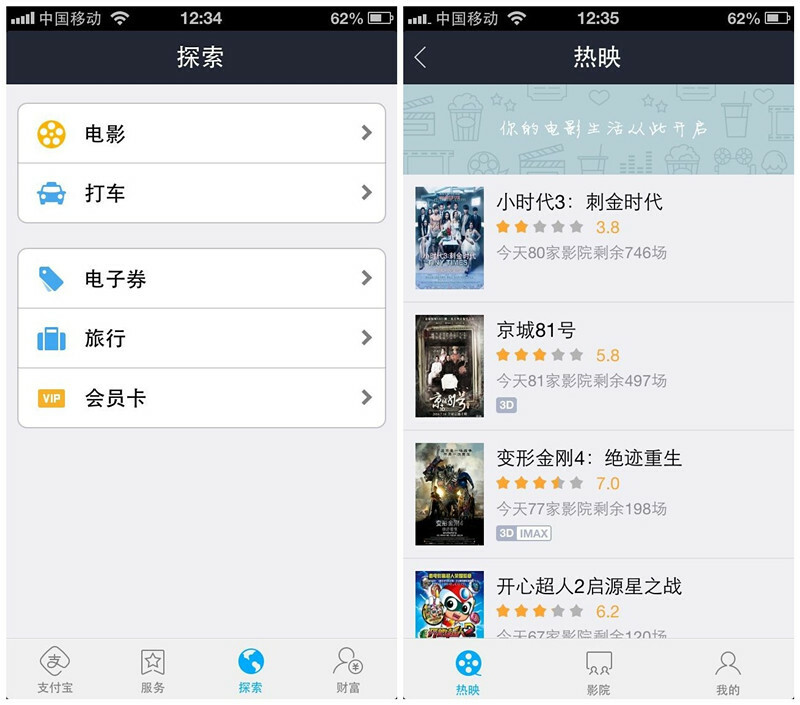 Alipay has released functions similar to Apple’s Passbook in previous versions, allowing consumers to view and manage all the e-tickets, vouchers and coupons that they have purchased either through partnering merchants’ websites or via mobile apps that use Alipay as a payment function. This time the app integrated all these functions in the “exploration” page and gives it a new brand name AliPass. The 8.2 version also made improvements on features of QR code scanning, app launch speed, Internet connection speed, etc. The app is now available for download at iOS and Android platforms. Not surprisingly, the WP version is left out again for the latest update.